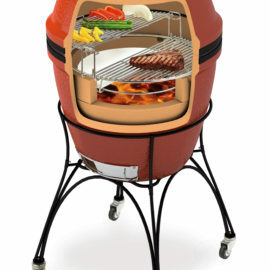 Kamado Joe is all about the spirit of innovation and passion for cooking outdoors and it shows in their products. 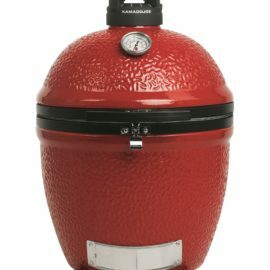 Kamado Joe strives for high value at a reasonable price point, but doesn’t cut corners on quality. Their grills are visually striking starting with the red color and eye catching logo on the top vent to the stainless steel bottom vent. The stand-alone models come with stainless steel bands and handle for added style in your mobile outdoor kitchen! 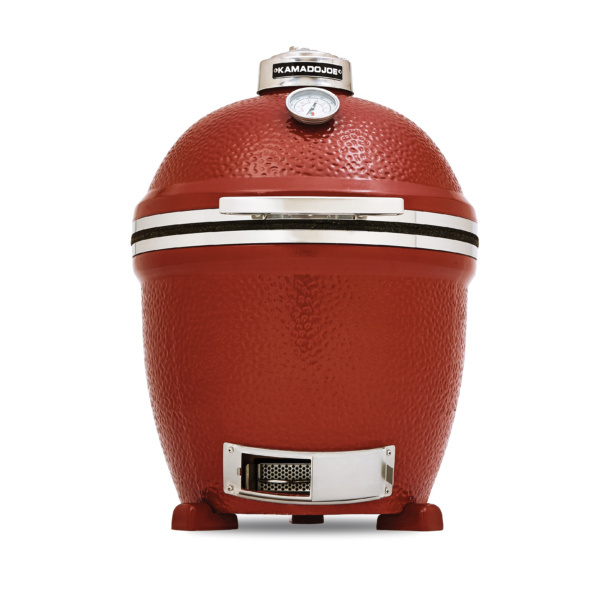 The freestanding models with black steel bands and a black nesting cart are available if you don’t plan on housing your kamado in a grill cabinet. 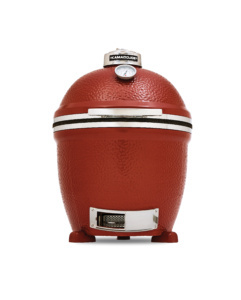 Kamado Joe’s bestselling size, the Classic, features a cooking grid that is 18” in diameter. You may need to add extra grill grate or racks when cooking for larger groups of people. If you are a Grill Master who likes to cook oversized cuts of meat, such as a 14-15 pound brisket, you may need to size up to the Big Joe. These concerns are not really an issue with the Big Joe’s massive 24″ grilling system. You want a high quality kamado grill system with innovative and award winning features and accessories, easier clean up and more cooking versatility than any other kamado on the market!